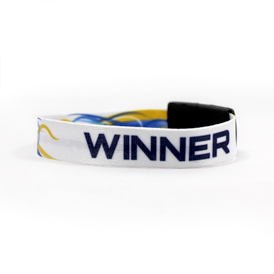 All purpose wristband in screened or sublimated options. Breakway closure is a safety feature. Choose from 3 different widths. 1 color imprint or full color sublimation. Additional colors 0.18 (C) & 30.00 (G) per color. 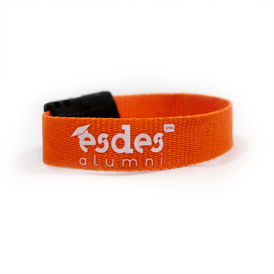 Wristband closure available in black or white. 50.00 (G) plus set-up charge. 50.00 (G) is refundable with order placed. Overnight shipping charges may apply. Adds 2 weeks to delivery.